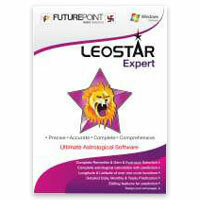 Future Point has launched Leostar Expert Edition for experts which is latest and most advanced edition of popular astrology software Leostar. This software is upgraded business tool for professional astrologers which not only includes the all features of Leostar Professional essentially rather also gives a comprehensive horoscope of over 300 pages. Special detailed packages on remedies like Gems, Rudraksha, Sadesati & others have been added. It also gives Sadesati description and predictions in detail. 21 June, 2014 - "Workshop on Applications of Leo Star"
Leostar is the most authentic and famous software of future point Pvt. Ltd. Workshop on "Applications of Leo Star" was organized on 21th June 2014 by Sh. Arun Bansal, Chairman of future Point and president of "All India Federation of Astrology Societies". Getting online Latitude, Longitude value using the internet facility, has been added to “Place Finder”. In the “Birth Details Input” section user can see birth details of the whole group on clicking the “Name” button. Birth Details can also be modified by clicking “Edit Off” button. Tree View added to “Birth Details Input” section which comes by clicking “Name” button. In Tree View, user can Cut/Copy/Paste data from one group to another, new groups can also be added within a group. These options are available by right clicking the mouse on the group name or birth data which will show a menu where user can select the desired option. End Page/Astrologer Details Page now can be designed as per language, font scheme, and color scheme. Page Setup – Header, Header Gap, Footer, and Footer Gap has been removed and “Design Name” has been added. Header, Footer can now be set in the “Page Design”. Table Format ON/OFF facility has been added in the “Design Screen” and in “Printing”. Now reports can be viewed on screen or printed in the tabular format with or without grid lines. This has been done to enhance the readability, celerity and looking of the various tables. “Print Text” section has been added in the “Masters”. Printable Text can be designed here and can be saved with the name Text1, Text2, Text3 etc. This can be printed on a page. Rotated Chalit & Cusp charts have been added to Teva Package in the charts section. Data Sync facility has been added in the Masters section. If a user makes changes to Models, Pages, Page Setup etc. the changes are saved to “LeoUser.db” file in the database folder. This file is automatically created if it is not available in the folder. When a user re-installs the software and wants to retrieve old settings already saved by him, he can do so by clicking the “Data Sync” button. “Rename” is added to “Design” section to facilitate the renaming of the template. Control ON/OFF facility has been removed. In the “Birthday Finder” section Daily, Weekly, Monthly, All options are added. Also click on any data, to further see the details and full path of the group, is shown at the bottom of the screen. Display Screen in Muhurta package as been modified and Previous/Next buttons has been added to Date Graph. Percentage system has been implemented in place of Grades in the Time Screen of Muhurta. Set Font Size & Table Format on/off feature has been added “Page Master” section. Just double click the selected template, a popup menu will open where user can set the font size and make the table format on/off. Time Correction and Zone facility has been enhanced. Calendar content has been enhanced and has been presented in a better format in the LeoMain program. LeoStar installation and Operation manuals have been redesigned. Bengali language has been enhanced. Users can set the Astrologer Master as per language, font and color scheme. Printing Screen has been improved for easy to use. Tabs have been added for different print options. Now, user can set “Astro Options” on the printing screen itself. Show / Hide Header and Footer feature has been added in the print screen. User can align page number on the printed pages either center align or right align. Printing feature has been added in the “Show Account” section. A context menu has been added on the Right Click of the mouse to the Scroll Options Default, Full, Vertical Scroll, and Horizontal Scroll. User can set Serial Number of the horoscope while printing. Some of the new places i.e. small countries and cities have been added along with the time correction details. State list added for Russia and Indonesia. “LeoApps” section has been added with Daily Rasi wise predictions, Love Calculator. “Astro Shop” section has been added and this will simulate the future point website shop.futurepointindia.com. New books have been added. Users can change the sequencing of the main screen tabs of different packages as per their preference. “Sync of Data to Internet” feature has been added and user can Put and Get the backup of the data at the “Future Point” server. The data will be saved with user id, password and software license number of the user. Festival Master added for setting astrological details of festivals. Malayalam and Spanish languages added. Screen Header Language and Page Language are being controlled by single option instead of two different options in the past versions. Theme Change Control has been moved to “Design Mode”. Option Setting “Custom” ,“Show” and “Save” are at the same place at the beginning in the screen Header while the “Default” option is moved to the last position in the same row. Print Screen “Portrait” option has been removed. Only “Landscape” screen printing is available now. Charts will be displayed as per the chart style set in the “Astro Options” and not as the design of the Template. “LeoPalm” simulation of the Mobile Windows software has been removed. Charts for KP System improved by changing in chart design. Time correction feature has been improved. Punjabi, Oriya and Bengali pages have been modified. Book Size printing feature has been improved. Remark has been moved to Birth Input Screen for adding user remarks for a particular horoscope. For printing remarks in the horoscope user has to add page UserRemarks” page to the modal. Some of the Astrological Tables have been represented as the Bar Graphs. Tables like Sarvashtaka, Bhinashtaka, Shadbala, Tikona, Ekadhyapati, Sodhya etc. can be seen in the form of bar graph. Festivals like International Festivals, National Festivals, Parva, Vrat, Pooja, Punya Divas etc. have been added in the “Panchang” Package. “Advanced Printing” feature in the Printing Section has been added. “Show” button has been added to the “Input Screen”. User can now also see the Horoscope from the “Printing” section. “Default” City button has been added to the “Muhurta” input screen. New Models has been added in the all the packages. These have been added by the Future Point based on the vast experience on the subject, and as per the requirement of the majority of the software users. New models supporting the book size and pocket size printing has been added. Monthly predictions have been added in the Astrology Package. Now users can also print the “Yearly Graphs” available in the Astro-Graph section of the Astrology package. These were previously available for the display only. True/Mean Rahu and Ketu related calculations have been implemented in the “Panchang” package. A complete new Package “Mundane” based on the Mundane Astrology has been added. New books (in the revised format) have been added. A new book of Astrological Tables has been added in the Hindi language. LeoStar Hindi language Manual has been revised and included in the software in the XPS format. Execution/Operation time of the software has been reduced. A bug reported in the “Dasha” display on the screen as been fixed. This was coming in very rare case while setting and switching data of multiple sets.